G. (Gerald) Steve Pigeon, a Democratic political operative working out of the Buffalo area of New York State, was charged on Monday in connection with an alleged illegal $25,000 political contribution to NY Governor Mario Cuomo. Accordinng to Buffalo-based reports, the donation was made on behalf of the embattled former CEO of Canada’s Amaya Gaming, David Baazov. Full details on the charges against Pigeon and the connection to Baazov have yet to emerge. Pigeon was arraigned Monday before US Magistrate Michael Roemer of the Western District of New York. It’s the third time in less than a year that Pigeon has been charged with illegal political activities. In Monday’s hearing, Pigeon pled not guilty to charges of facilitating an illegal campaign donation and conspiracy. The charges could result in up to five years in prison and a $250,000 fine, and will be added to the ongoing case against Pigeon. The trouble-plagued political operative is already facing charges including bribing a judge. Pigeon pled not guilty last month to violating New York’s election laws. Kennedy added, per the WGRZ report, that Pigeon assisted the CEO in donating the $25,000 to a “public official” running for statewide re-election in 2014. That could apply virtually only to Cuomo, and in a separate comment, Pigeon’s own attorney, Paul Cambria, confirmed that the donation was made at a Cuomo fundraiser. The $25,000 donation was technically made by Florida attorney Marlon Goldstein, who previously figured in other Baazov-related news. Speaking separately in a third local report, to the Buffalo News, Pigeon identified David Baazov as the Canadian CEO behind the allegedly illegal contribution. The federal criminal complaint lays out how Pigeon allegedly assisted the officially unnamed CEO in making a campaign donation of $25,000 to Cuomo. According to prosecutors, it took three tries for Baazov and Pigeon to find a possible legal avenue to make the contribution. First, Amaya tried to purchase the $25,000 ticket as a corporate entity, which wasn’t legal in New York. Next, Baazov himself tried to buy the $25,000 ticket, but as a Canadian national, that would’ve violated US federal law regarding campaign contributions. Ultimately, a Florida attorney [Goldstein] who was connected to the company made the purchase, but the investigator said [Goldstein] indicated in an interview and emails that he initially expected to be reimbursed. The attorney later canceled that reimbursement. Cambria wants to know, if the actions were illegal, why his client was the only one charged. “My question was, ‘A Florida lawyer made the contribution and Cuomo people were fully aware of all of it, why are you singling [Steve Pigeon] out? '” Cambria asked. 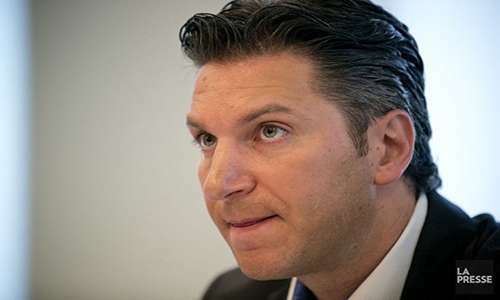 While Baazov himself is long gone from Amaya’s corporate halls, the background story is all but certain to ratchet up the heat within the Montreal-based online gaming giant, most particularly on veteran gaming attorney Marlon Goldstein. Goldstein has served as Amaya’s Executive Vice-President of Corporate Development, and also as Amaya’s General Counsel and Secretary, since Janaury 24, 2014. The date of the allegedly illegal contribution technically made by Goldstein was February 25, 2014, barely a month after his arrival at Amaya. Before joining Amaya, Goldstein served as a prominent member of the high-profile legal firm Greenberg Traurig, a major force in gambling-related, corporate legal matters. Goldstein’s name has previously emerged in connection with Baazov’s own insider-trading case in Canada. Back in 2013, per a Financial Post report, Goldstein, who at the time represented Scientific Games, contacted Baazov. According to FP, which has examined the Autorité des marchés financiers (AMF) documents filed in the Baazov case, Baazov’s brother, Josh Baazov, ex-Amaya exec Craig Levett and others connected to Amaya bought shares in WMS soon after Goldstein’s contact with David Baazov. WMS’s share price spiked by 59% just before Scientific Games acquired the rival game manufacturer on Jan. 31st, 2013, which the AMF has alleged provided the Baazov-centered group with a tidy but illegal profit. Goldstein himself has not been charged in connection with the Baazov insider-trading scandal. However, the developing case involving Steve Pigeon, Goldstein, Baazov, and even Andrew Cuomo, is likely to have repercussions across the United States far behind the simple $25,000 contribution. New York State’s Senate has an important legislative hearing on online poker scheduled for today, with this case now hanging over the legalization topic as well as Cuomo’s other pro-gaming stances. And then there’s California, where the PokerStars-centered coalition has shown signs of fraying with the recent departure of the San Manuel Band of Mission Indians. Though Pigeon’s activities on behalf of Baazov and Amaya occurred long before Amaya acquired PokerStars in 2015, Stars’ foes in California will certainly seize upon the NY case as more evidence of why the brand should be barred from the state. 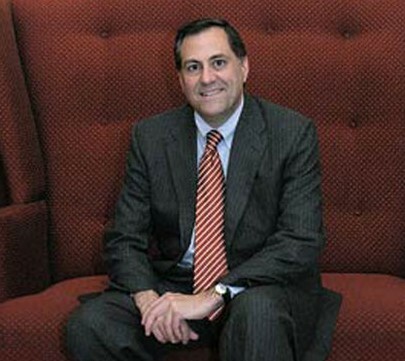 Amaya has yet to issue an official statement regarding the New York case against Steve Pigeon. The company’s stock declined slightly on Monday and in after-hours trading. Check back at Flushdraw for further updates on this developing story.